BOULDER COUNTY HOME completely remodeled with new paint, flooring, and landscaping. Move in ready. Bright home with vaulted ceilings and open floor plan. 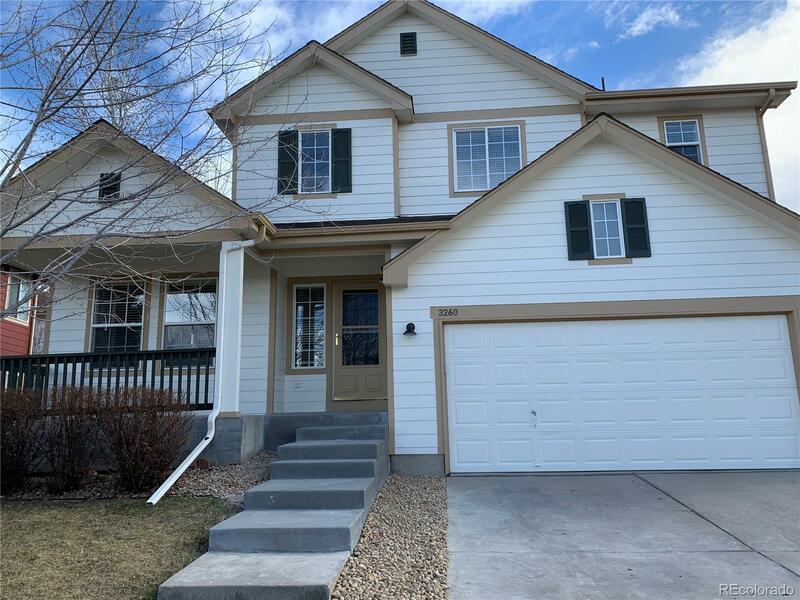 3 bedroom, 3 bath two story home in Arapahoe Ridge community. Cozy family room off kitchen with gas fireplace. Spacious kitchen with eat in nook. Granite countertops. Large master bedroom with 5 piece bath, walk-in closet and large soaking tub. Laundry room on 2nd floor with Jack and Jill bedrooms. Over sized garage with extra lighting and insulation. All appliances and washer/dryer included. Partially finished basement which could be 4th bedroom. Large unfinished area in basement, great for storage or finishing. Large backyard with mature trees and bushes. Very close walking trails in community and lake that is great for fishing!! Highly sought out Boulder Valley school district. Access to the very desirable community pool, clubhouse, tennis/volleyball courts. QUICK POSSESSION - Buyers to verify all measurements. Association Name Primary: Arapahoe Ridge Homeowners Association, Inc.